A lot of people feel helpless right now because Rome is burning, etc. Many of us are looking for things to do. Here are a few I've managed to drum up. Also, this was inspired by Michael Miraflor, who asked his Facebook followers how media/ad folks can be useful. If donating is all you're able to do right now, here's a list of nine organisations that help refugees, and Arabs or Muslims that the administration is Hitlering. This includes the ACLU, which filed a petition for habeas corpus that empowered a federal judge to issue a stay on that one guy's executive order, barring people from certain countries—including green card holders and veterans—from entering or re-entering the country for the immediate future. That stay didn't hold long. But at least they're working on the problem. I also advocate for brands to demonstrate their dissent—not just by saying stuff, but also by putting money where it matters, like Lyft just did for the ACLU. It's proof of values, and anybody in a position of power can bend the world by using it to support systems for good. 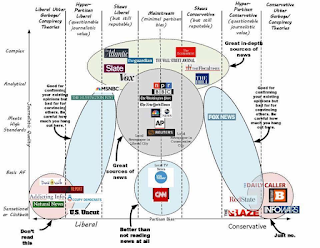 Lastly, I recommend donating to reputable news sites, like The Guardian, PBS or NPR. We need them now more than ever. The latter two are especially endangered as they benefit from the federal cultural program budget—which makes up 0.02% of federal spending, and which the regime wants to cut. Also, you might get a tote bag! Hurray for tote bags. Rogue government accounts. US government agencies and workers will now have a harder time relaying actual facts to constituents. These include NOAA, NASA, the CDC, and even the bloody National Park Service. Scientists and other dissenters have, as a result, mounted rogue Twitter accounts to go on enforcing their duties to Americans and the world at large. Alternate facts and fake news are euphemisms for, well, lies. If you want to politicise it, call it propaganda. One of the biggest tools that helped organise and fuel the Alt Right are sites that slant truth to stoke fear, suspicion and the desire to retaliate against people who are generally just pursuing the right to wake up in the morning without fear of reprisal, deportation or getting groped on public transport. 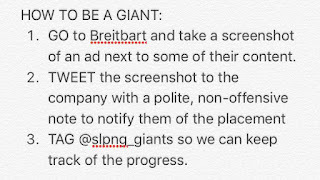 An organisation called Sleeping Giants is encouraging people to screenshot ads that appear alongside content from Breitbart, then tweet them to companies so they'll cut them out of their programmatic ad buys. 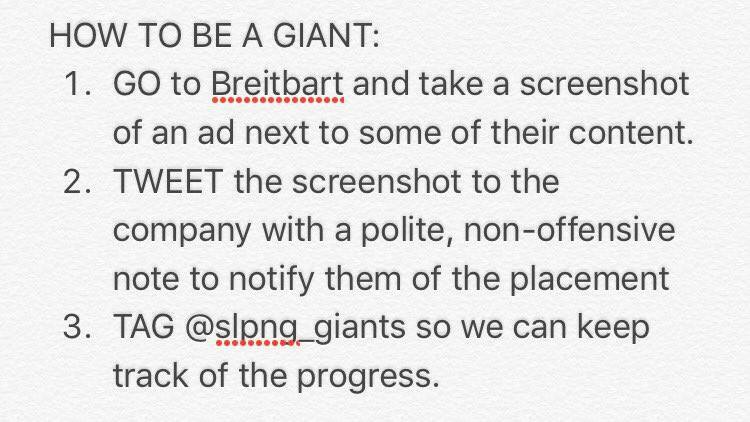 It's not an all-encompassing solution, but it hurts Steve Bannon's misery vehicle and puts mass pressure on companies to take ownership of where their content appears (and what it endorses by proximity). A lot of us have gotten caught up in the whirling dervish of sharing stuff we think is important via Facebook and Twitter. I know it's an act that's easy to write off, but it's perfectly valid dissent. Why? Because I'm a Game of Thrones fan. Why that matters: I didn't care about GoT. I was totally impermeable to its marketing and story. Never read the books. But the fact that I heard it, saw reactions to it and was accosted by an unending array of memes about it throughout my social life (online and offline) made it feel important by proximity. Never underestimate the power of FOMO. 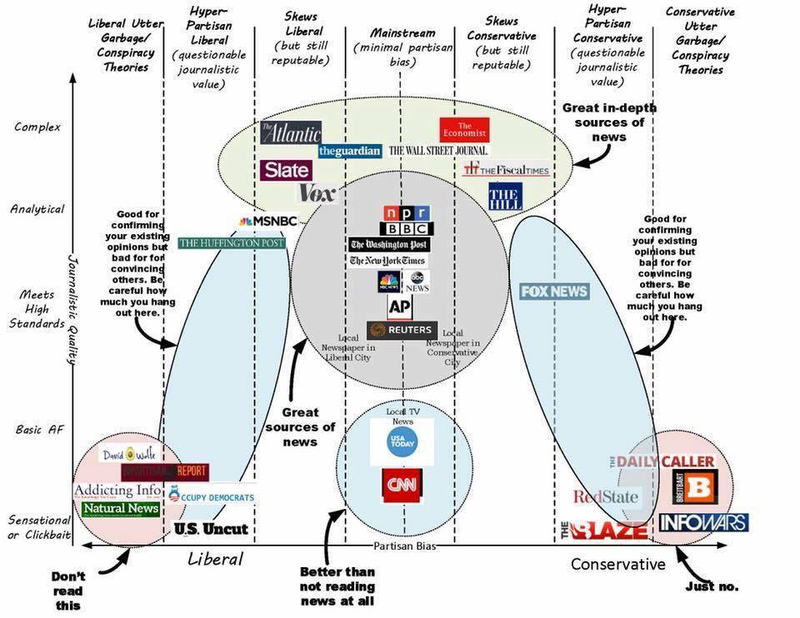 To curate effectively, work out what kind of news sources you can trust to pass along. This image is a fair step in the right direction, but don't forget to vet data yourself. If something sparks an immediate, angry emotion, look for a source. Check the source to see if something small was taken out of context to spark a big feeling. It costs nothing but a minute or two, and it makes everyone smarter. Including you. Many of us aren't strangers to freelancing. And while we're all pressed for time, it's worth picking a cause, an organisation that supports it, and offering services. Make your capacities clear so they know what to tap you for. This can include copywriting, graphic design, coding, whatever. Project Hive, a millennial-focused project run by the UN refugee committee that's looking for ways to raise awareness via digital. CreateAthon, which organises pro-bono marketing campaigns for nonprofits. Datakind, a company that works on projects based on whether they're using "data for good." Alongside Microsoft's Civic Tech department, they also hold monthly lectures on the subject. Chapters are open in lots of places. The Taproot Foundation, which lets you post your pro-bono skills online so somebody who needs you can find you. For all of the above, a hat-tip goes to Deborah Debroschka—and of course Michael, because, well, his stream and all. This is something I'm looking to kick off in Paris. 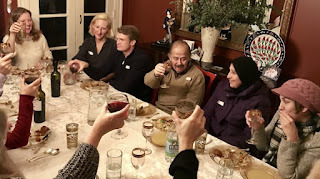 Syrian Supper Clubs take many forms, but the idea is pretty much the same: Somebody cooks Syrian food, people pay for a seat at the table, and the money either goes to a non-profit org or a Syrian family. 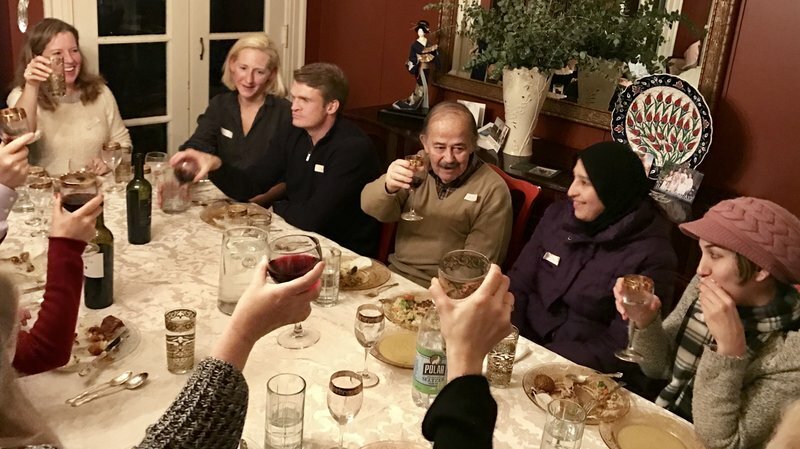 I really like this variation—where you tap a Syrian refugee to cook, invite others to eat and mix with your buddies, and the money goes to the cook and his/her fam. But the main SSC link has a toolkit, which is handy. Help takes shape in all kinds of ways. Your desire to help—to talk about things, to pore over what's possible—already makes a difference, and your contribution may take none of the forms I mentioned. Maybe it's just putting two people together who catalyse something important. Don't take anything you could possibly do for granted, but don't let yourself get overwhelmed by the enormity of this task, either. Offering someone your seat on the bus, being kind, sticking up for a person who needs help, and expressing interest in people who are different from you are worth a world already. It's trickles that break dams.